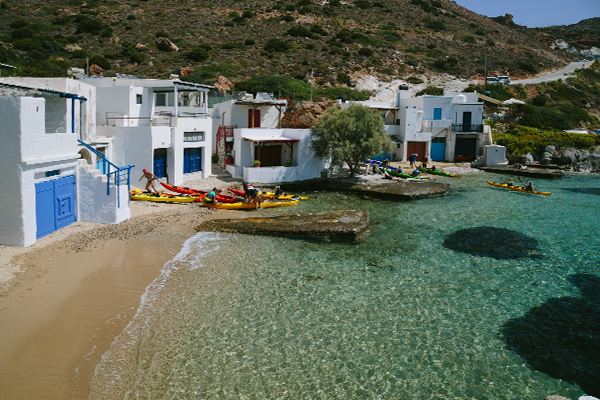 The Cyclades, Greece, on account of their beauty they are called The Pearls of the Aegean Sea, and most probably owe their name to Kuklos (round) as they are scattered around the Island of Dilos, the Sacred Island, today uninhabited, close to Mykonos. The Cyclades are windy and their beauty is due to their geological, mostly volcanic, origin. Wild, reddish land contrasts with the deep blue and green colors of the sea, with white houses and mills, with the blue of pergolas, and with intense pastel colors of fixtures. 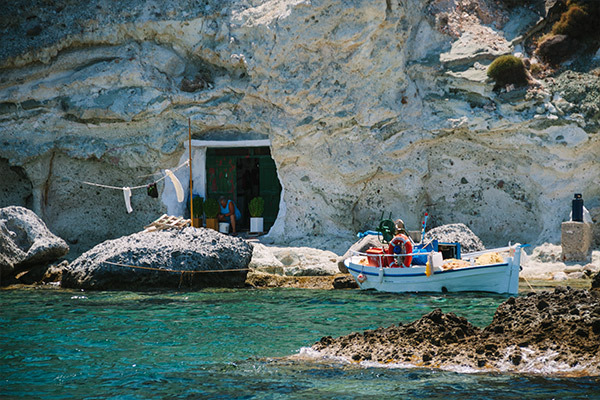 Each island has its own characteristic, from nature to life, from the nightlife of Mikonos to the peaceful atmosphere of Folegandros and Anafi, to the spectacular caldera of Santorini, to the colorful beaches of Milos, all true Greece. To visit more than one island we suggest to follow the ferry lines departing from Piraeus: the Western one touching Kea, Kithnos, Serifos, Sifnos, Milos, Kimolos, Folegandros, Santorini; the eastern one going to Siros, Mikonos, Paros/Naxos, Ios, Santorini. 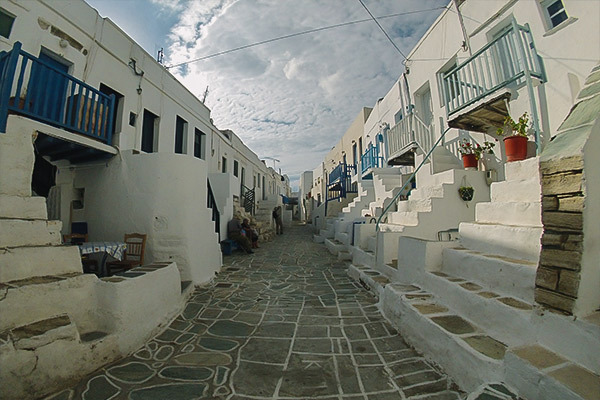 The population of the Cyclades is about 100.000 inhabitants and their administrative capital is Siros. The Meltemi wind blows from the North from mid-June to mid-September and can reach 10 Beaufort. Almost stops at night.